uPVC Windows And Doors – 4 Good Reasons To Install Them. Double glazing doors and windows made from uPVC are probably the most popular types of doors and windows on the market today. There are various reasons for this and the main reasons can be dealt with under the headings of energy efficiency, cost effectiveness, security, safety and maintenance. Quality uPVC windows and doors are very efficient units that will enable you to keep your home warm and comfortable in the wintertime and cooler in the summer months. With doors such as uPVC patio doors you can have a lot of light entering through the door due to large sheets of glazing, and yet the door will still be thermally efficient. uPVC is a more thermally efficient product than timber or aluminium, the other two most used materials in double glazed windows. By installing quality upvc double glazing in your home not only will you have a more comfortable place to live, but the running costs on your property will be significantly lower as you will have less need for central heating and air conditioning. uPVC windows and doors that are double glazed are not inexpensive and if you are considering installing them it will be one of the bigger home improvement jobs that you will undertake in your home. However given the various benefits that can be accrued by having these units instead of single glazed windows, the initial uPVC double glazing cost has to be considered over the lifetime of the windows and doors and the saving that can be made over that period. The fact that there are many window and door manufacturers looking for your business means that with proper research you can purchase quality products at very good value. There are options for you to carry out DIY double glazing if you have some experience and talent at DIY and in this way you could save quite a bit of money on installation costs of the windows. Security in the home is a much more important topic than it was in previous years and decades. The days of homeowners leaving keys in their doors while they slept are long gone and with many homeowners away from their properties during the day, it is important that their homes are secure and safe from burglars. Front doors for homes especially have to look and be very secure, but it is also advisable to have solid uPVC back doors and side doors also. uPVC double glazed windows and doors are known for their strength in both the frames and the glazing. It is very difficult to break through a uPVC frame and especially one that has steel strengthening rods added and quality uPVC window handles fitted. 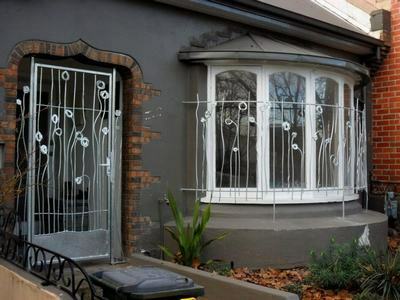 Double glazing is also very hard to break through or remove without creating a lot of disturbance, which is something that a thief does not want. Some homeowners for additional security opt to fit window screens over their windows also. If your uPVC doors and windows are properly locked and secure while you are away from your property, a burglar will most likely move on to an easier target without even trying to gain access to your home. Some homeowners for additional security opt to fit window screens over their windows also. Timber windows are very attractive and timber can become even more beautiful with age. Unfortunately windows made from timber have the disadvantage that homeowners have to constantly maintain them in order to stop them becoming rotted or warped by inclement weather. If a timber window does get water damaged and either swells, or bends out of shape, it will no longer perform as an efficient unit. uPVC products such as doors, windows and uPVC cladding on the other hand are classed as maintenance free, given that the uPVC in the frames will not ever need to be painted during its lifetime. This is a factor that attracts a lot of attention from hard working homeowners, who would rather spend their limited free time with their families than having to maintain windows in order to keep them performing properly. Under the above headings uPVC windows and doors will either outperform or equal timber or aluminium windows and doors. Taking the headings as a package it is usually very unlikely to find one of the other two window types that are able to provide the same performance and quality as windows and doors made from uPVC at the same cost competitive price. Flat Designs is a source of quality designs and plans related to home and buildings. We collect and create images of flats keeping in mind a practical approach towards its application and simplicity. Contact us to publish your designs on our website.